Watch the 2009 Confederations Cup live here. The 2010 World Cup promises to be the biggest World Cup ever in terms of Internet coverage – live or otherwise. It may not surpass the novelty of 2002 or the gaiety of 2006 and given that it will be winter in South Africa, it may not be the best event to go see world cup babes, but it will be something special. The Confederations Cup, on the other hand, will be something of an anti-climax. Like all low-value cup competitions (think Carling Cup or the Club World Cup), there’s a tendency to take South Africa 2009 lightly, almost like a set of friendly matches. The good thing is that every single team going to this year’s edition of the Confederations Cup has quite a lot to prove, a point to make, which should make for a spirited, if albeit inconsequential, 2 weeks of football. 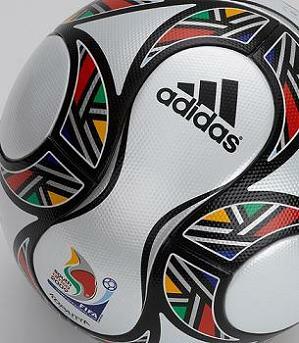 Originally, Port Elizabeth’s Nelson Mandela Bay Stadium was also chosen as a venue. However, on 8 July 2008, Port Elizabeth withdrew as a host city because its stadium was deemed unlikely to meet the 30 March 2009 deadline for completion. All of these stadia are to host matches during the British and Irish Lions tour which will be in progress during this tournament, but a minimum of 9 days has been allowed for pitch recovery between a rugby match and a football match. Expect Wembley-style complaints. Rules: 4 teams in each group, play against the other teams in their group once, top two teams proceed to the semi-finals and so on. In Group A I expect Spain to win their group comfortably with Iraq coming up as the runners up, although South Africa being the hosts could easily pip them to the post. In Group B it’s closer on paper but the United States have been a bit clueless under Bob Bradley lately so it’s up to Egypt to cause a few scares and if they can get a win against Italy or Brazil, I think they’ll be a shoe-in for getting to the semis. Italy to win the group though, with Brazil as runner ups. Predicted Semifinals: Spain v Brazil and Italy v Iraq. Predicted Final: We’re likely to see Spain take on Italy in the final, and while the European champions will be favourites for such a clash, the World Champions can’t be counted out and I think they could take the game if they can go ahead first in the game. What are your predictions for the Confederations Cup? i would prefer a Spain/Brazil final though. they seem to have solve their defensive issues and Italy squad is still very old and i doubt it will improve from the last year’s Euro08. i would tip Spain to win though, they are the team to beat and with their fast and attacking football, it will take a huge effort to beat them in 31 games. You heard it here first! The U.S. will finish third! It may not be as high profile as the World Cup Ahmed(then again what is) but it’s going to be a great tournament as Brazil, Italy and Spain have all sent full strength teams to South Africa. Personally I’m looking forward to this, the whole of South Africa is. And at least its two weeks of footy for those who are bored with transfer talk. Surprise that Iniesta did not get capped for Spain. Looking forward to Brazil v Italy. Is it summery weather there or what? because seasons change for every part of the world, right? This statement creates the impression that Port Elizabeth voluntarily withdrew and is incorrect – FIFA and its professional advisers DETERMINED that Port Elizabeth’s stadium would not be ready. As can be seen from the recent Open Day for the Port Elizabeth Stadium the decision by FIFA and their advisers was incorrect. @bobmagee – We have winter at present, but not the winter as experienced in the Northern areas with snow, the temperatures do drop to below 10 degrees centigrade in some parts of the country but the sun still shines. It’s the first month of winter in South Africa at the moment. Spain vs Brazil. Spain has Brazil’s joga bonito game but mixes it with their own aggression, whilst Brazil have come out of their joga bonito tag and have recently shown a tougher side to their game, also mixing Euro aggression since they have lots of players making a living in Europe. Spain vs Brazil —- the true WORLD game. Slmz Ashraf, whereabout are you? Im in KZN. I just hope they ban that horn(vuvuzela) for the World cup. Its just rubs me the wrong way. @Ishaq: Try and report from the open media centre with the Vuvuzelas blowing – most distracting. And that was just for yesterday’s rugby game, Soccer games attract the most Vuvuzelas. Puzzling to me yesterday was that my wife was not allowed to take water into the stadium and, then after pouring the water out, she was still not allowed to take the plastic bottle in, BUT, people were walking in with great big plastic Vuvuzela’s. Brazil and Italy who’s next ? ?